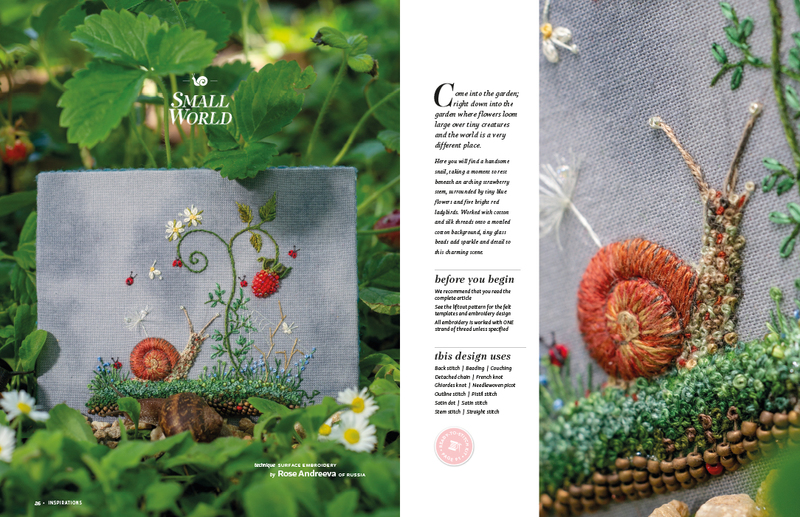 In this issue we take time to pause and give our attention to some of the small creatures that share our planet. 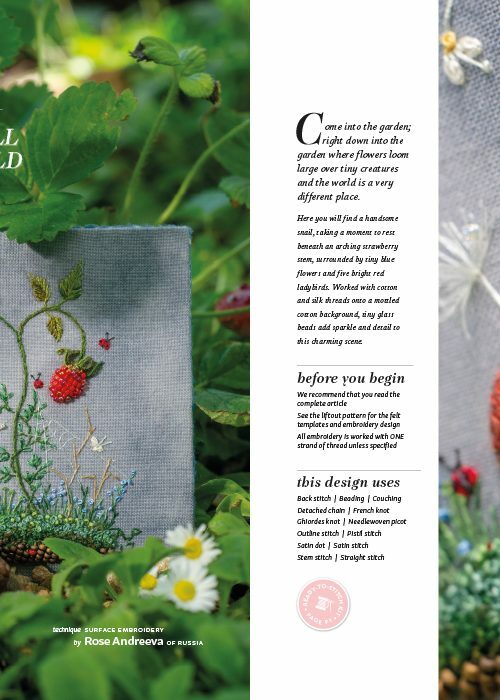 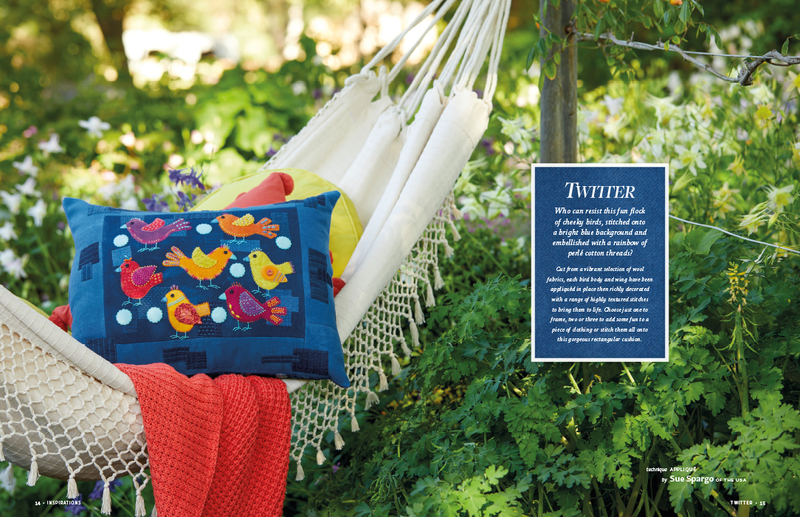 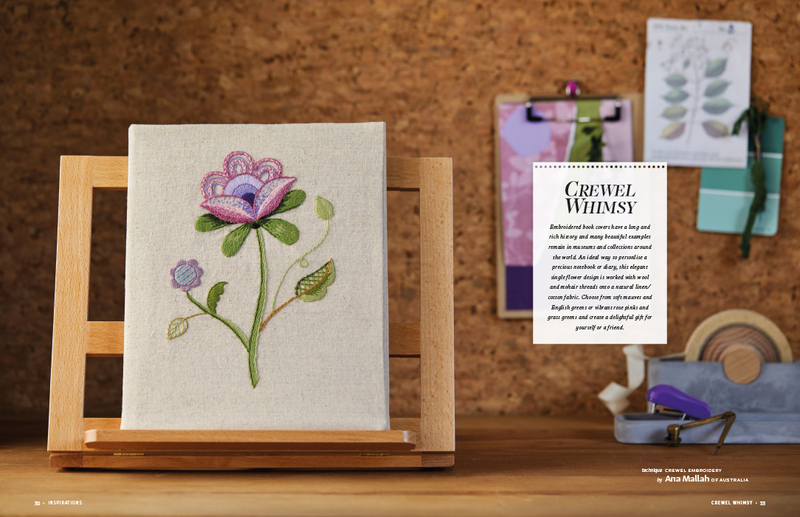 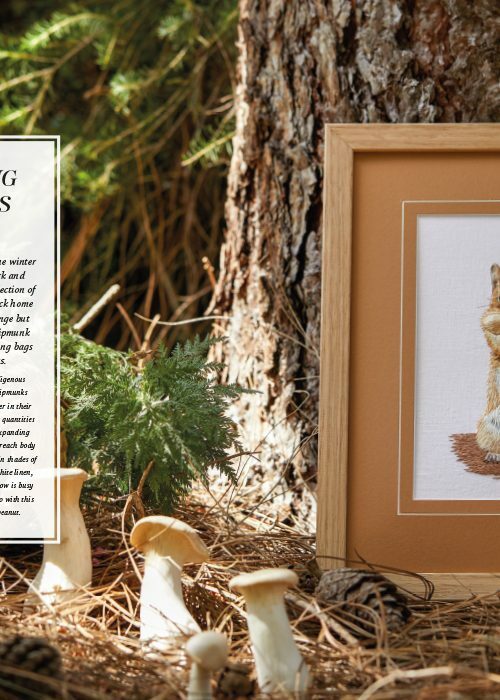 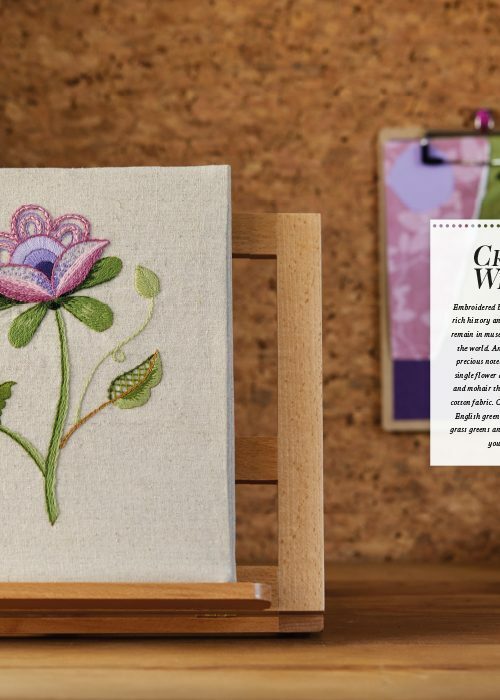 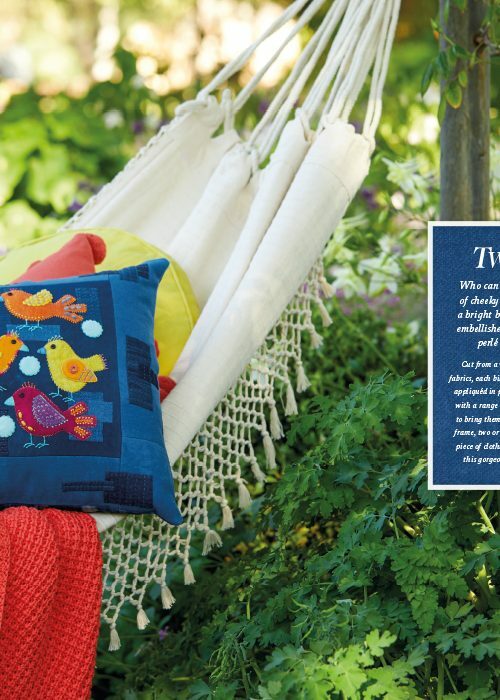 There are beautiful details to be seen in this issue, and an unlimited variety of ways to represent them in stitch. 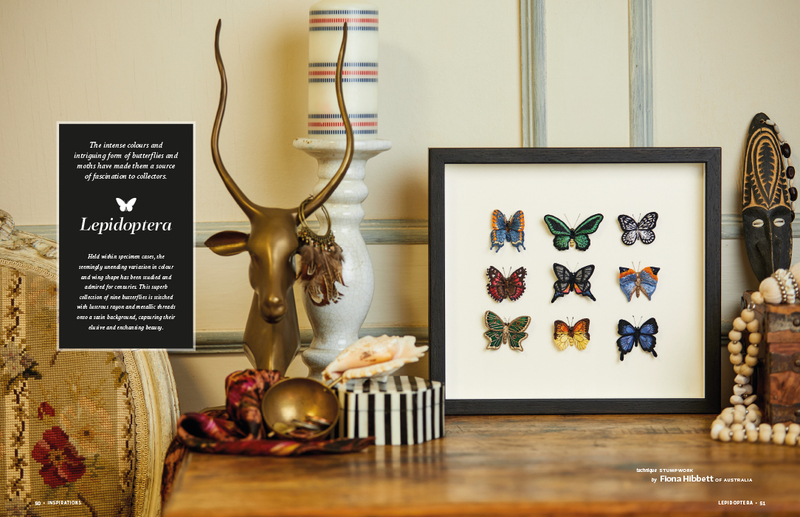 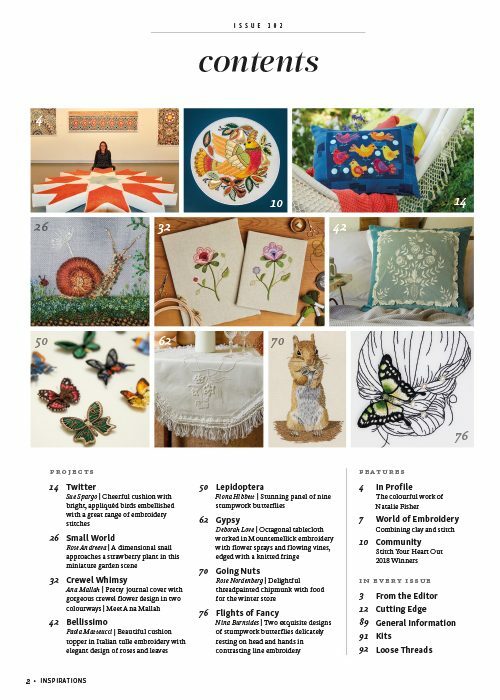 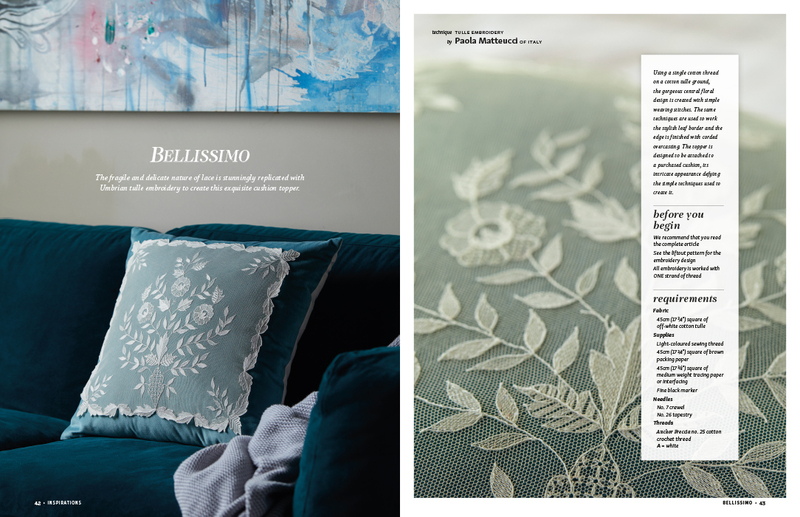 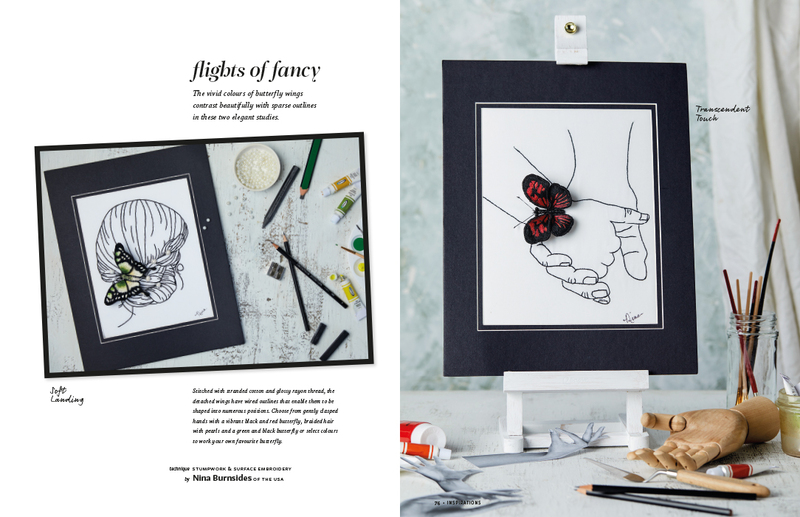 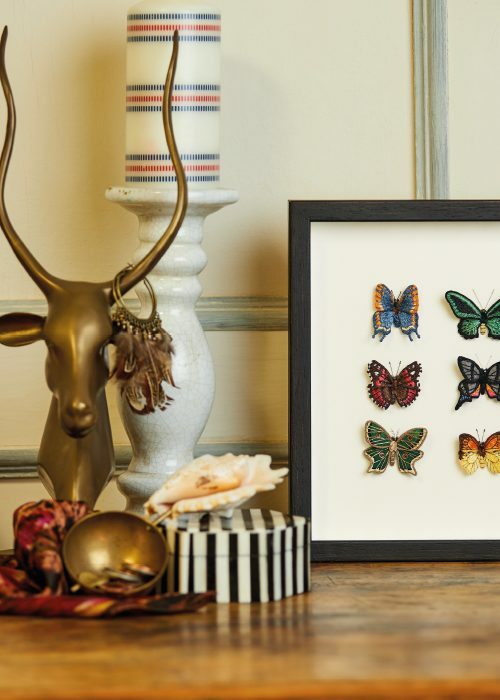 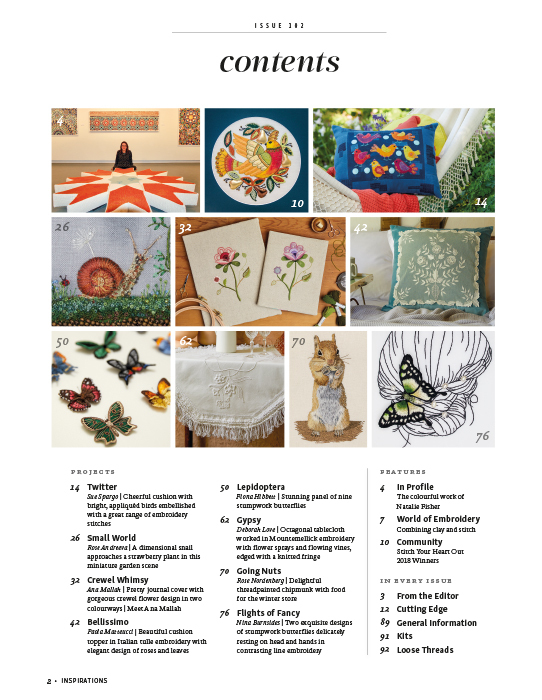 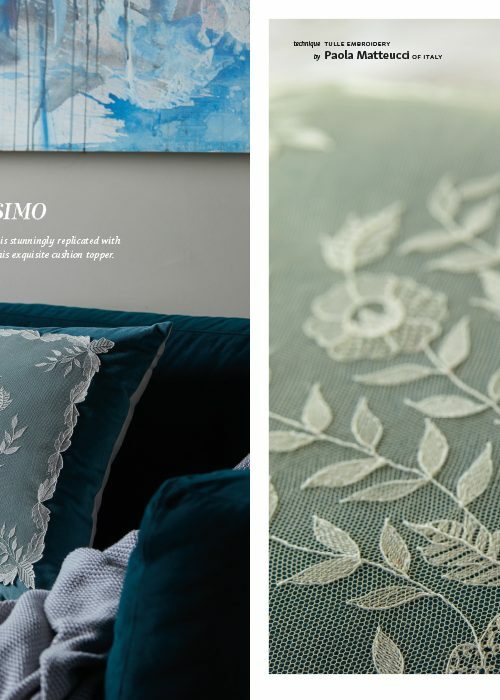 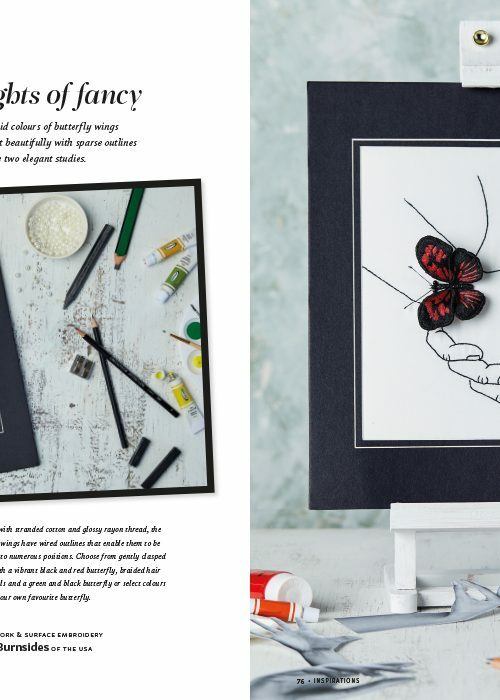 We feature the warm, colourful textures of Sue Spargo’s appliqué, the delicacy of monochromatic embroidery on tulle, and contrast the vibrant colours of stumpwork butterflies with subtle shades in surface embroidery, while exploring the stitching vision of three new contributors. 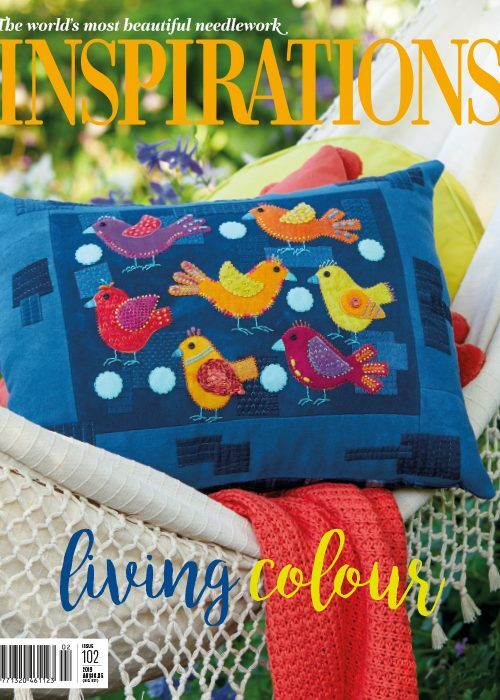 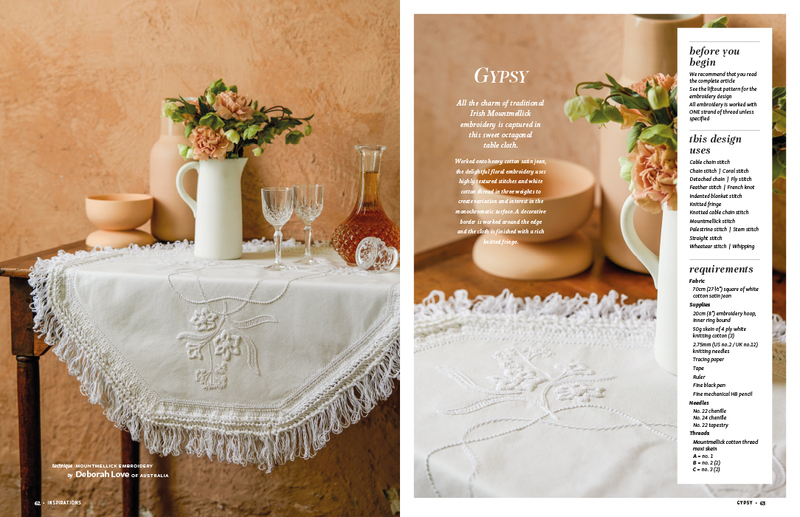 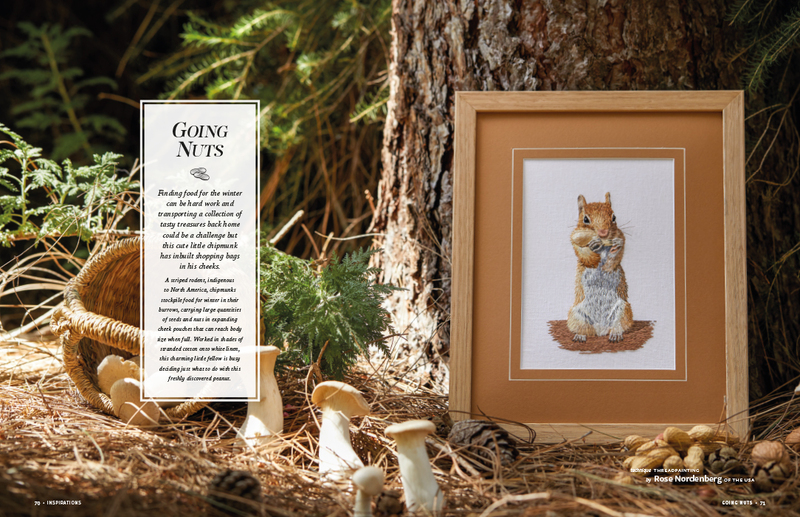 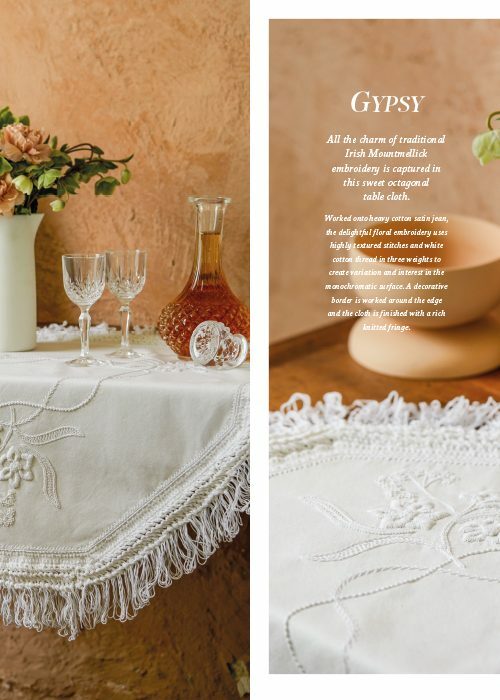 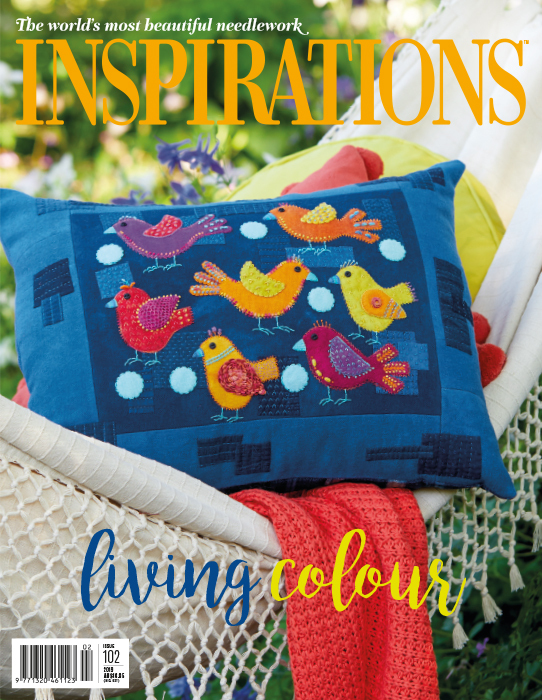 Inspirations Magazine is published quarterly and features the world’s most beautiful needlework projects, showcased with gorgeous photography and complete with step-by-step instructions, detailed techniques and full sized tear-out pattern sheets.